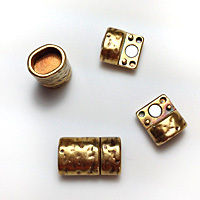 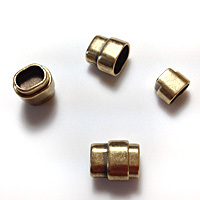 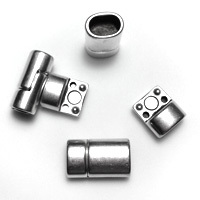 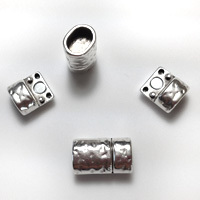 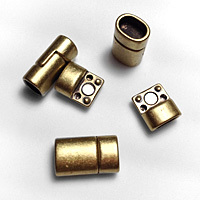 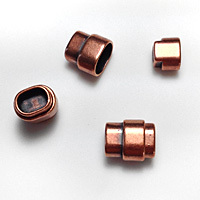 These European made magnetic clasps have super strong magnets with some addition of little twists needed to open them making them ultra secure. 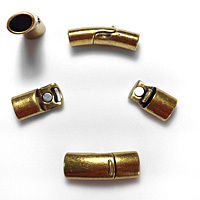 The actual walls of these clasps are fairly thick giving them a rugged feel. 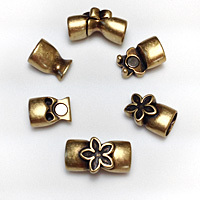 Most of these clasp designs are unisex. 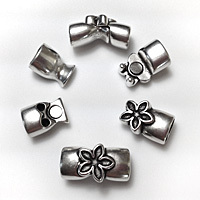 These clasps are made in Spain or in Greece with a Zamak alloy. 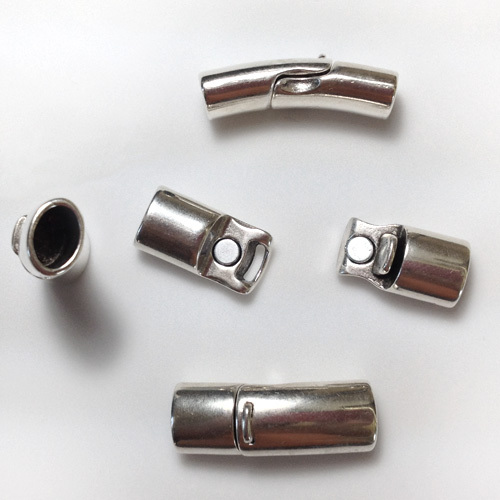 Zamack is a zinc alloy, lead-free, cadmium- free, nickel-free, and hypoallergenic. 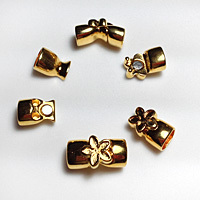 All the clasps on this page are EU compliant. 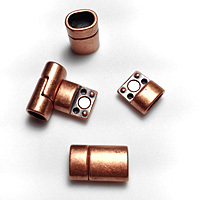 Zamak stands for Zinc, Aluminum, Magnesium and Kupfer (the german name for Copper). Most Zamak alloys have 93-95% Zinc, and are very corrosive resistant.